> Tintri > Manage Your Data at the VM Level With Unmatched Ease and Simplicity. Gone are the days of complicated LUN and volume configuration and tuning. 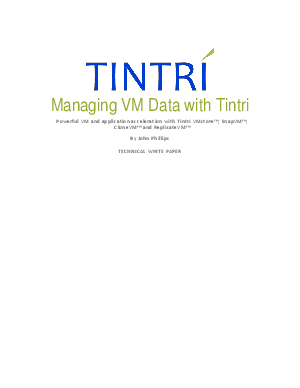 The Tintri system automatically adapts to virtualized application workloads and enables administrators to monitor and manage virtual machine data as it should be – as a VM.